Rogersville: Betty Jo Ann Kite Sexton, age 86, of Rogersville, passed away, Thursday, January 31, 2019 at her residence in the Strahl Community following an extended illness. Betty was a cook with the Hawkins County School System for 15 years. She served at Dodson Creek Elementary School with her mother, Logan Kite. Betty was a devoted and faithful member of Dodson Creek United Methodist Church, where she served as the song leader for more than 25 years. She loved being a part of The Lord's Acre Sales, and was well known for her beautiful and delicious "apple pies". 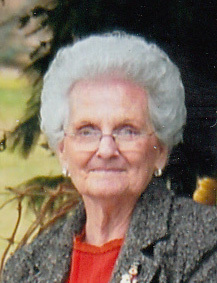 Betty Jo truly loved her family and home. She devoted many years to lovingly caring for many children, where she and husband, Vernon, were known as" Mamaw" and "Papaw". They were loved by the children, as well the parents of the children. She was preceded in death by her husband of 67 years, Clyde Vernon Sexton; son, Connie Clyde Sexton; parents, Charles Oliver and Logan Gibson Kite; sisters, Ruth Trent and Helen Jean Daugherty. Survivors include her daughter, Sharon Ward and husband, Wayne; sons, Gary Sexton and wife, Diane, Terry Sexton and wife, Jo Ann, all of Rogersville; grandchildren, Gregg Ward and wife, Nicky, Elisha Sexton, Danielle Miller and husband, Joe, Kristi Vannoy and husband, Sam, Lori Beth Dages and husband, Michael, Trevor Sexton and wife, Marley; 12 great-grandchildren. The entire family wishes to express their love and thanks to Betty's caregivers..
Visitation hours will be 1:00 P.M. to 3:00 P.M., Sunday, February 3, 2019 at Dodson Creek United Methodist Church. Funeral service will be conducted 3:00 P.M., Sunday, February 3, 2019 at Dodson Creek United Methodist Church with Rev. Floyd Ward officiating. Burial will follow in Kite Cemetery. Broome Funeral Home, Rogersville is honored to serve the Sexton family.